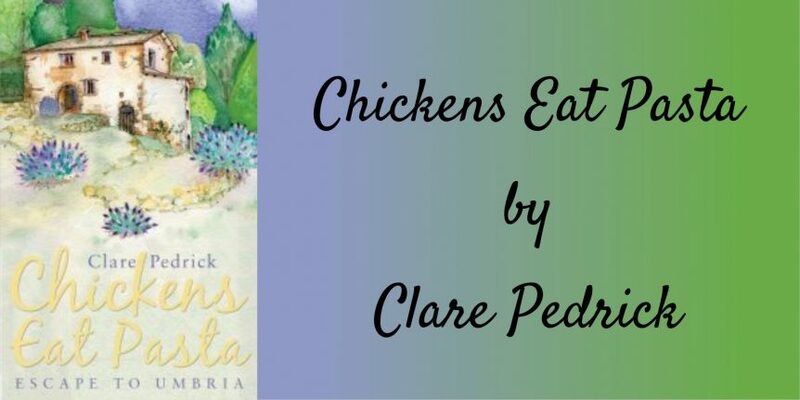 My guest today is author Clare Pedrick and she is sharing a little excerpt taken from her book, Chickens Eat Pasta, hope you enjoy. “I am always being asked how I ended up living in Italy and what brought me here in the first place. 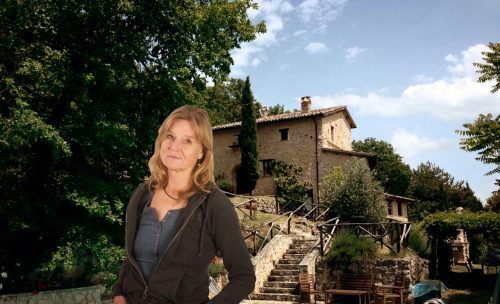 Clare Pedrick was just 26 years old when she decided to buy a beautiful old ruin in Umbria on a whim after spotting a newspaper advert one rainy Sunday morning. She was entirely alone when she embarked on her adventure, which eventually led to a love affair with a man who is now her husband. Unlike some other recent bestsellers, this is not simply an account of a foreigner’s move to Italy, but a love story written from the unusual perspective of both within and outside of the story. As events unfold, the strong storyline carries with it a rich portrayal of Italian life from the inside, with a supporting cast of memorable characters. Along the way, the book explores and captures the warmth and colour of Italy, as well as some of the cultural differences – between England and Italy, but also between regional Italian lifestyles and behaviour. It is a story with a happy ending. The author and her husband are still married, with three children, who love the old house on the hill (now much restored) almost as much as she does. 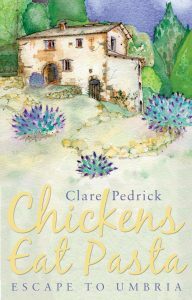 Chickens Eat Pasta is primarily a love story – of Clare’s love for the house that she saw one day and decided to buy, of the man she met there and went on to marry, of the children that they have and of the country that is now their home. CLARE PEDRICK is a British journalist who studied Italian at Cambridge University before be coming a reporter. She went on to work as the Rome correspondent for the Washington Post and as European Editor of an international features agency. She still lives in Italy with her husband, whom she met in the village where she bought her house. The house was indeed in need of repair, with gaping holes in the terracotta-tiled roof and the outside stone walls badly crumbling. In some places they had completely collapsed. Inside, some sections of the uneven floors were missing, with dizzying drops down to the space below. “Careful where you put your feet,” said Mirella. She tugged at my arm to stop me from wandering into a cavernous room with hardly any floor at all. A large rat darted out between us. It was hard to say how many rooms there were, or how many there might one day be. The building was huge and rambling, but there were no bedrooms that could be identified as such and certainly no bathroom. There was nothing that looked remotely like a kitchen and there appeared to be no electricity. The only source of water was from a conical-shaped stone construction to one side of the main building. Leaning over to look down into the well, I could just make out the shape of a dead fox floating in the water, its body bloated but its brush still intact. Incredibly, one part of the property was still inhabited, by an old man who peered out of a small broken window as we passed by. Even Mirella looked a little taken aback.